Apple finally revealed more information about the Apple Watch and its three configurations, with the top-tier Apple Watch Edition going for an eye-searing $10,000 — and that’s just the starting price. 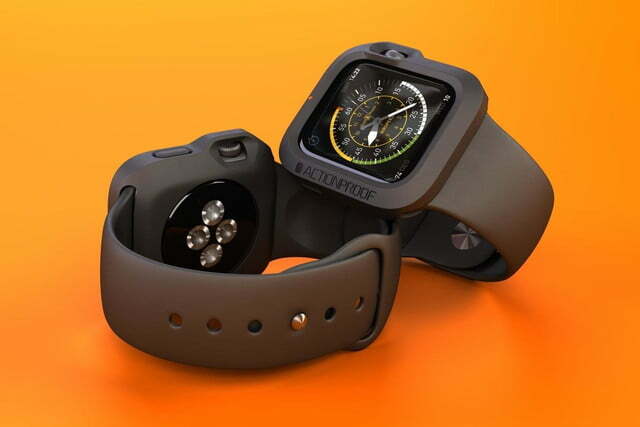 Regardless of which configuration of the Apple Watch you get, you’ll want to protect it. Enter the Bumper. Updated on 04-08-2015 by Williams Pelegrin: Updated the text below to reflect the surpassed Indiegogo campaign and the launch of pre-orders. Created by ActionProof in Italy, the Bumper was made for those who live the active life. 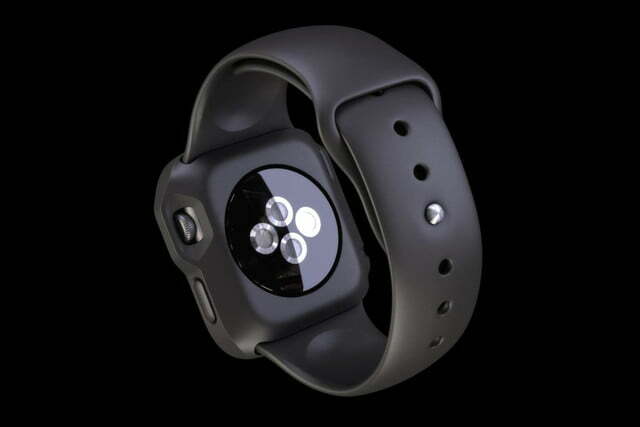 Designed for easy attachment and removal, the Bumper is made from a rubber material called Laprene, which helps absorb shocks should you accidentally drop your watch. It also supposedly protects against UV radiation, ozone, exposure to extreme temperatures, and some chemicals. The case has cutouts for the buttons, speaker, and microphone, and there’s a big opening in the back for the sensors. While the crown will be slightly covered by the material, a part of it is exposed to let you access the dial. The Bumper is based on a 3D model of the Apple Watch, so be aware that it may not be a perfect fit, no matter what the company claims. Additionally, the Bumper only fits the 42 mm version of the Apple Watch. Before you begin to throw your hands in the air, publicly decrying the idea, the Bumper actually made $16,173 on Indiegogo from 559 people, a few thousand dollars above the $10,000 it looked to get from backers. For $20, 500 early-bird funders were able to nab a limited-edition black version with a pink dot (which looks to be purely cosmetic). Other colors include black with orange dot, white with orange dot, and orange with black dot. The additional colors were available at higher funding tiers. 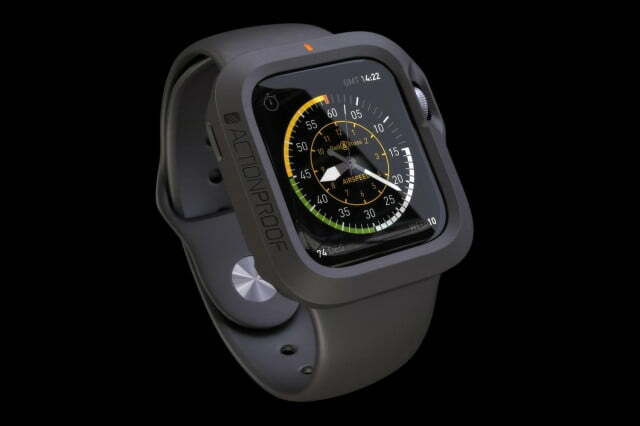 Even though backers should get their Bumpers sometime in May, ActionProof announced pre-orders will be open at the company’s website this Friday, April 10, with the Bumper selling for $35. To gain some mindshare, ActionProof will have everyone from volleyball players to race car drivers, to even kung fu fighters, go into four Apple Stores in Manhattan. Essentially working as product ambassadors, customers will be informed they can get free standard shipping for 24 hours by using the discount code “DAYONE” at checkout.